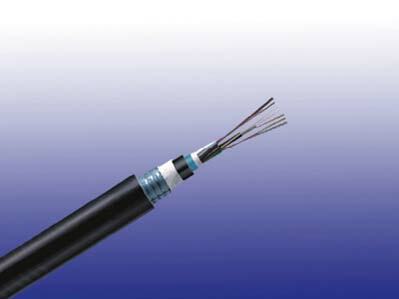 The multi loose tube non metallic cable is designed for outside plant, which is prone to electrical interference. 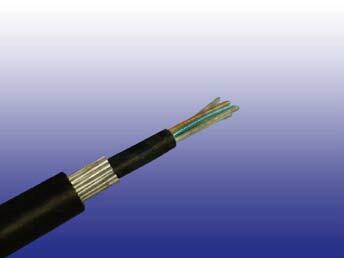 The cable consists of 5 to 36 fibers containing tubes or fillers stranded in up to 3 layers around a central strength member and bound under a PE jacket. Each tube contains 4 -12 fibers. 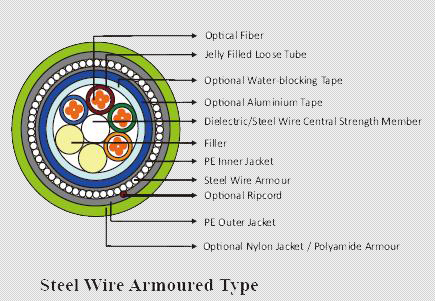 Solid or stranded steel wire coated with polyethylene is usually used as central strength member. Fiber glass reinforced plastics (FRP) will be used as central strength member if non metallic construction is required. 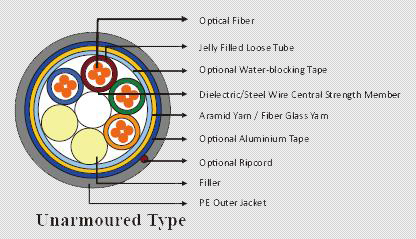 Either aramid yarn or ﬁ ber glass is wound around the tube to provide physical protection and tensile strength. 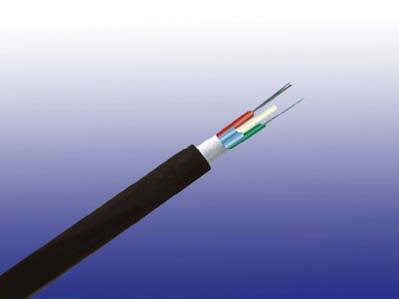 The cable can be jacketed with either PE, PVC or LSZH though PE is the preferred option for water protection purpose. 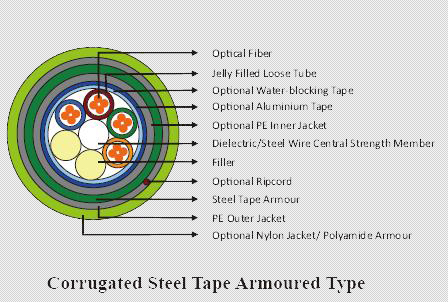 For direct burial, steel wire armour or corrugated steel tape armour is applied with an optional inner jacket of either PVC or PE. An Aluminium moisture tape can be incorporated under the jacket for water blocking and shielding purpose. A ripcord is located under the jacket to facilitate jacket removal.